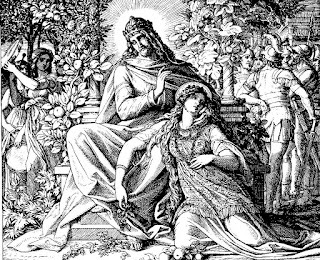 The snippet of Solomon's life in today's reading is a study in contradictions. Solomon loved the Lord yet sacrificed at the high places. The law also limited altar building to locations of God's choice - Deuteronomy 12:2-5, 13,14. Still, God spoke to Solomon in a dream after he had sacrificed at Gibeon "the great high place." 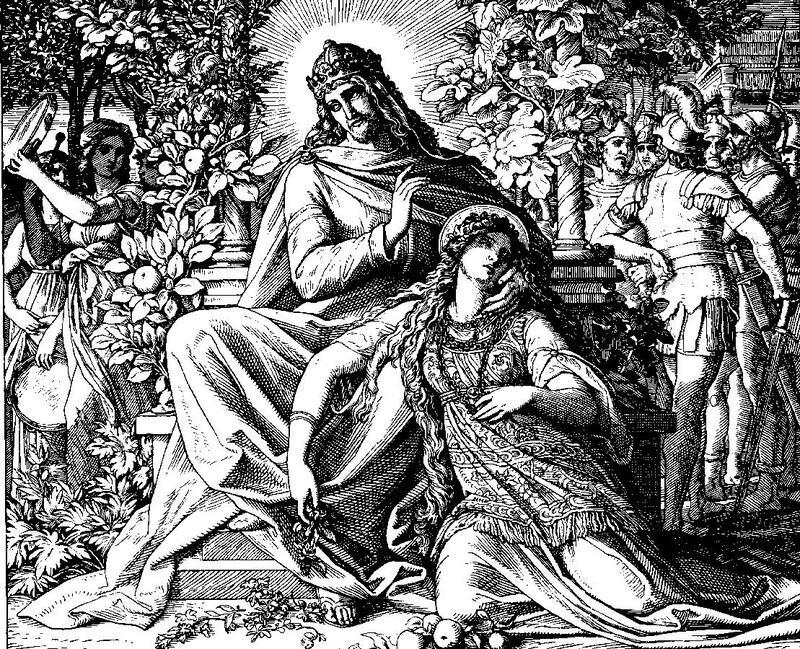 In his dream, Solomon's answer to God's question: "What shall I give you?" pleased God and He promised to answer Solomon's request for wisdom in governing the people. On waking, Solomon traveled to Jerusalem and worshiped there (1 Kings 3:15), so we see that he knew where offerings were to be made. We can see some interesting trends here early in Solomon's life—tendencies that, in the end, took him down. Here at the beginning of his reign he married his first unbelieving wife, Pharaoh's daughter - 1 Kings 3:1. He kept up this practice throughout his life and these hundreds of idol-worshiping wives were the one big cause of his eventual downfall - 1 Kings 11:1-13. His mixing high places into Yahweh worship produced apostasy and syncretism which persisted and displeased God - 2 Kings 17:17-18; 21:2-9. Solomon's double-mindedness in his youth and middle age led to an old age that was characterized by cynicism, aimlessness and depression. Read Ecclesiastes, e.g. Ecclesiastes 1:2. Early sinful tendencies will only grow stronger if we don't nip them in the bud. Though God often blesses us despite sin in our lives, our tolerance of it will inevitably angle the trajectory of our entire life. Double-mindedness can indeed lead to instability and a bad end, as James warns us - James 1:8; 4:8-10. PRAYER: Dear God, please help me to love You and demonstrate that love by my obedience. Amen.